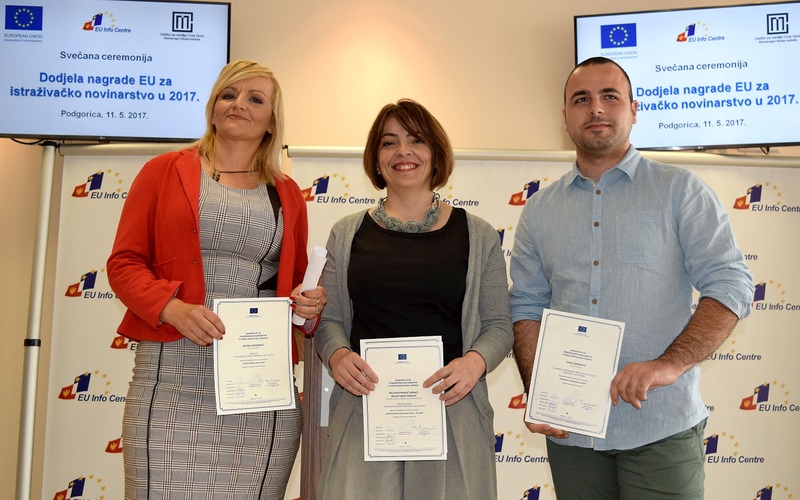 EU Award for the best investigative story in 2016 was given to Jelena Jovanović, the journalist of the daily newspaper “Vijesti” for her investigative series of texts about the illegal setting up of the cameras and the surveillance of the public space at several locations in Kotor by unknown individuals, most likely members of criminal clans. 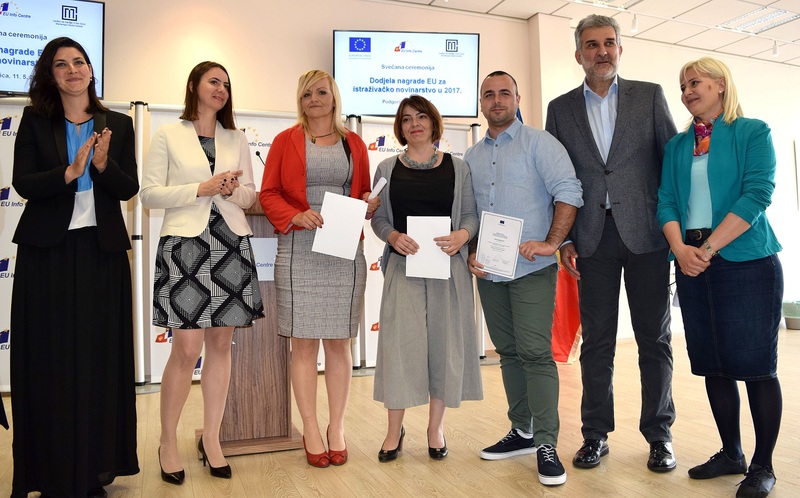 Second award was given to Milena Perović Korać and Milka Tadić Mijović, from the Center for Investigative Journalism of Montenegro, for a series of stories entitled “Corruption at the local level- Kolašin”, whilst the award for the best young journalist wen to Ivan Čađenović, from the daily newspaper “Vijesti”, for his series of articles on the suspicion that the dean of the Faculty of Law at the University of Montenegro plagiarized his doctoral thesis and a textbook. The Jury comprising of dr Olivera Komar (president), Dragoljub Vuković, Snežana Nikčević, Sonja Drobac i Olivera Nikolić selected the winning stories. 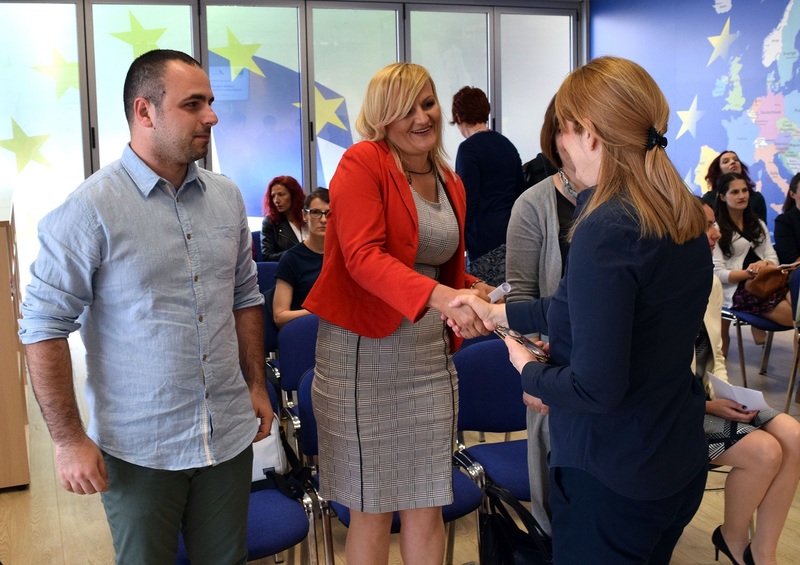 Plamena Halacheva, head of Political, European Integration and Trade Section in the Delegation of the EU to Montenegro, presented awards to the winners at today’s ceremony in Podgorica. Young journalist Ivan Čađenović, in the awarded series of articles, "unlike a large number of other similar texts, carefully follows all the traces, by very well revealing different layers not only of a concrete case of plagiarism, but also of an attempt to hide it from the public." 17 applicants sent their investigative stories this year. 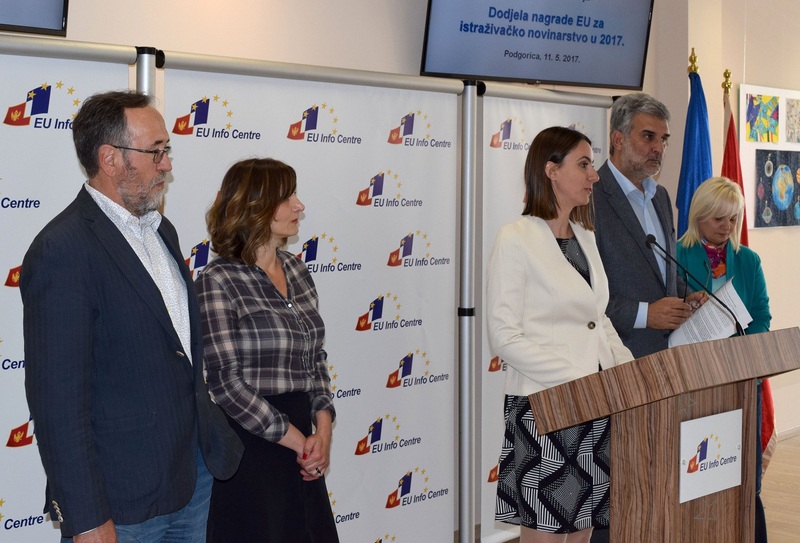 The EU awards for investigative journalism are given for the third year in a row, as a part of the regional initiative implemented by partner organization of the civil society from Montenegro, Albania, BiH, FYR Macedonia, Serbia, Kosovo and Turkey. Coordinator of the program is Peace Institute in Ljubljana. The national coordinator for Montenegro is Montenegro Media Institute. 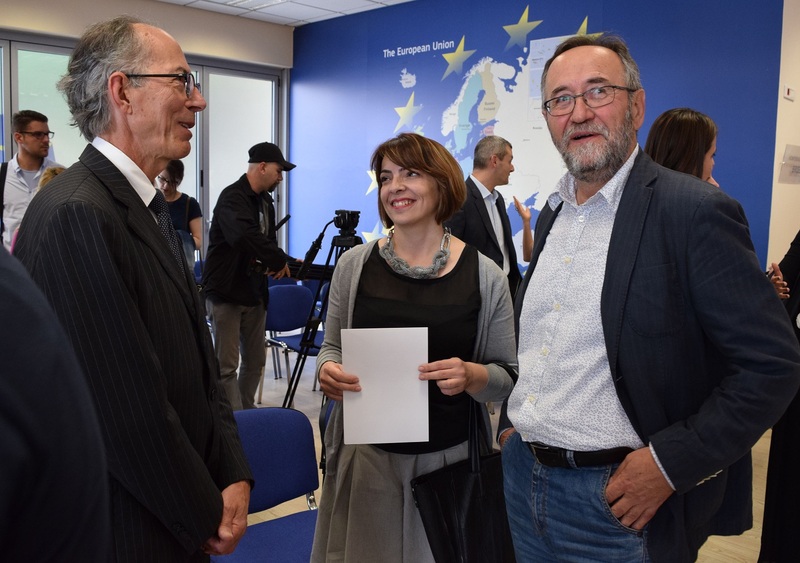 Jelena Jovanović, the author of winning story thanked for the award and stated that: “There is no proper journalism without investigative reporting, because only that type of stories can change the things that are not good in the society”. "All of us who work in media are aware that it is not possible to have investigative stories every day. We have to give our best to have as many as possible, because our main task is to reveal the truth and criticize what is harmful for the society and the state". 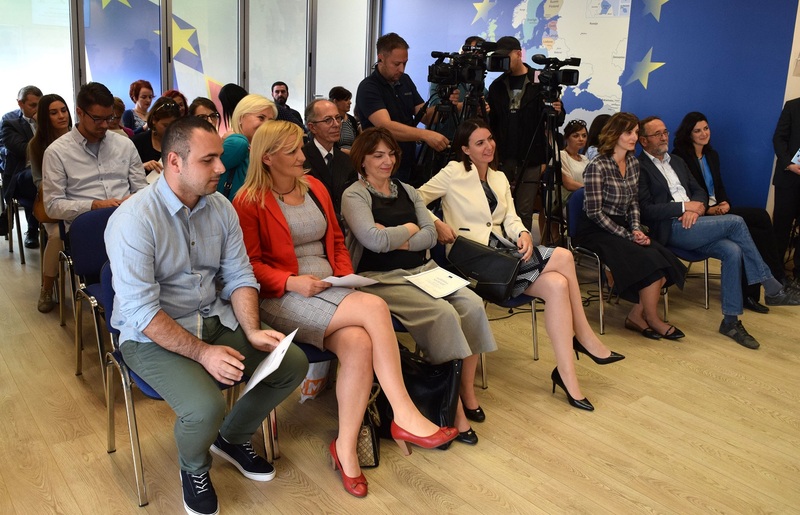 "Journalists in Montenegro have many topics and material for making investigative stories, but there are just few of them who really engage in it", said Jovanović.